With nearly 328,000 drowsy driving related car accidents each year, the facts speak for themselves. When you look at the loss of life and the nearly 109,000 injuries that come from these accidents, the cost of drowsy driving is too high. Making the change to save lives means knowing what happens to the brain when fatigued, taking action when driving, and committing to better sleep. The body is hardwired to get what it needs whether that means food, water, or rest. Sleep deprivation causes the brain to physically slow down. Neurons that send messages, direct the body, and help interpret information slow their speeds. Scientists believe the brain is trying to slow the body so that it must fall asleep. This slowed brain activity means delayed reaction times while driving. When you think about how quickly life-saving decisions need to be made on the road, the consequences of delayed reaction times could mean the difference between life and death. Problem-solving and reasoning skills also suffer without adequate rest, making any quick decisions difficult when you’re behind the wheel. All of which can lead to a costly accident. In total, drowsy driving accidents cost $109 billion every year. Those costs come from medical and insurance bills, emergency services, and lost wages that may continue over a lifetime. The nature of motor vehicle accidents makes a brain, neck, and back injuries more common. These types of injuries often require long-term medical care. And, some injuries may leave permanent physical or mental disabilities. But, many of these accidents could be avoided or prevented with the right action. When you recognize the signs of drowsiness, take action. Pulling over in a safe, well-lit area for a short 15-20 minute nap can be enough to get you to your destination safely. If possible, change drivers every two hours on long road trips. When you’re not driving, sleep so you’re ready and alert when it’s your turn again. 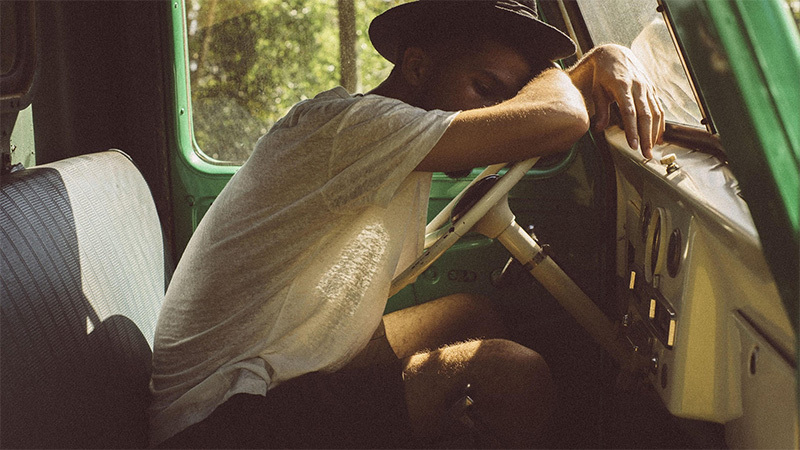 Working to develop better sleep habits can also prevent drowsy driving. Start by making sure your bedroom supports healthy sleep. It should be kept quiet, dark, and at a comfortable 60-68 degrees at night. If you wake with an achy back or neck, check your mattress and pillow to be sure it’s not time for a replacement. Turn Off the Screens: The light from televisions, laptops, e-readers, and other electronic devices can fool the brain into staying awake rather than shutting down for the night. Turn them off at least an hour before bed. Avoid Stimulants and Alcohol: Caffeine can keep you awake long into the night. Alcohol may initially cause sleepiness, but it disrupts the sleep cycle later on. Stop drinking both at least four hours before bedtime. Develop a Bedtime Routine: Bedtime routines are great for kids and grownups alike. They help the brain send the right signals to the body at the right times. Anything quiet and relaxing makes a good addition to a consistent routine. Consider trying some deep breathing exercises, listening to quiet music, or reading a book to help you prepare for the restful sleep you need. Ben DiMaggio is a researcher for the sleep science and health organization Tuck.com. Ben specializes in investigating how sleep, and sleep deprivation, affect public health and safety. Ben lives in Portland, Oregon. His worst sleep habit is checking his email right before bed.